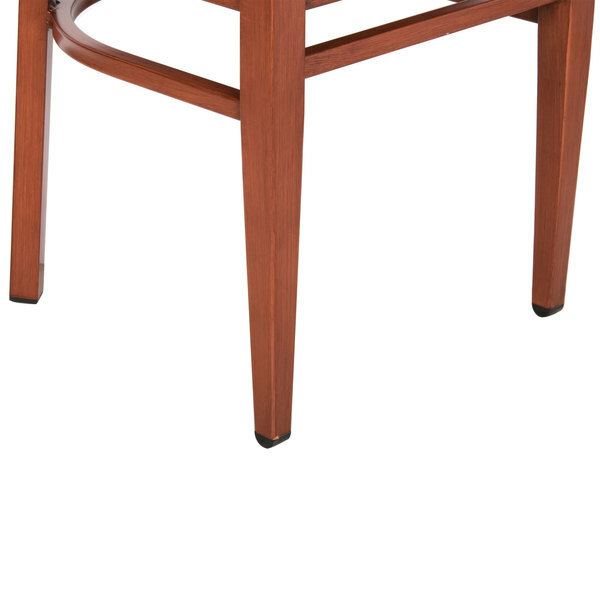 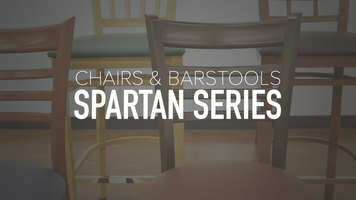 This Lancaster Table & Seating Spartan Series metal slat back chair with mahogany finish is a beautiful seating option. 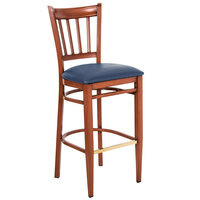 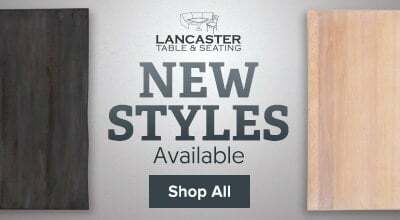 Outfit your foodservice establishment with this sturdy yet beautiful Lancaster Table & Seating Spartan Series metal ladder back chair with a mahogany wood grain finish.This chair's good looks is backed up by its exceptional durability making it the perfect chair for just about any venue or event. Use it in a variety of settings, including cafes, restaurants, banquet halls, and bistros. 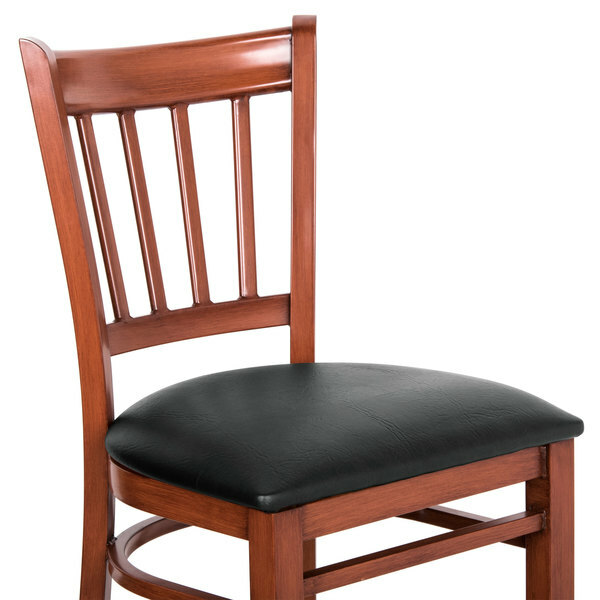 Thanks to this chair’s 2 1/2” padded seat and contoured back, it provides your customer with unmatched comfort during their stay in your establishment. 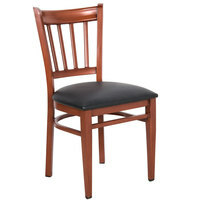 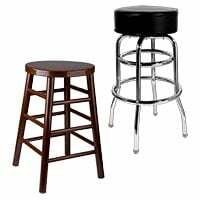 Plus, since it has a slat-back design, it offers extra support to your guest’s entire back. This chair has a sturdy metal construction, giving it a high weight capacity of 500 lbs. 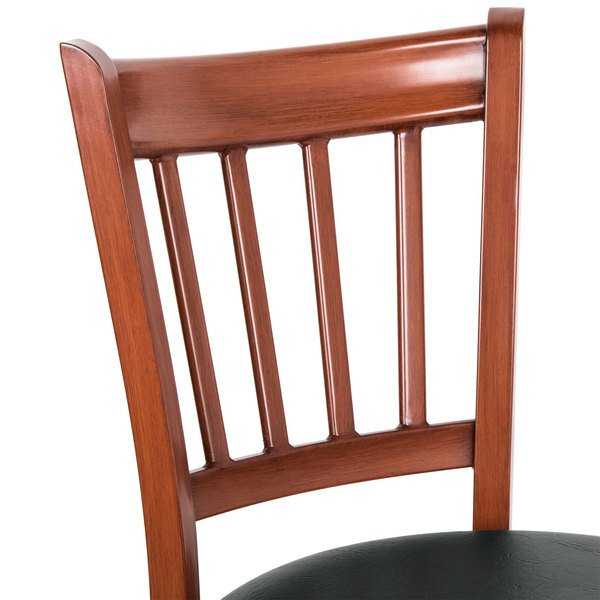 You’ll also appreciate its unique mahogany wood grain finish that makes this metal chair look like an all-natural wooden chair. 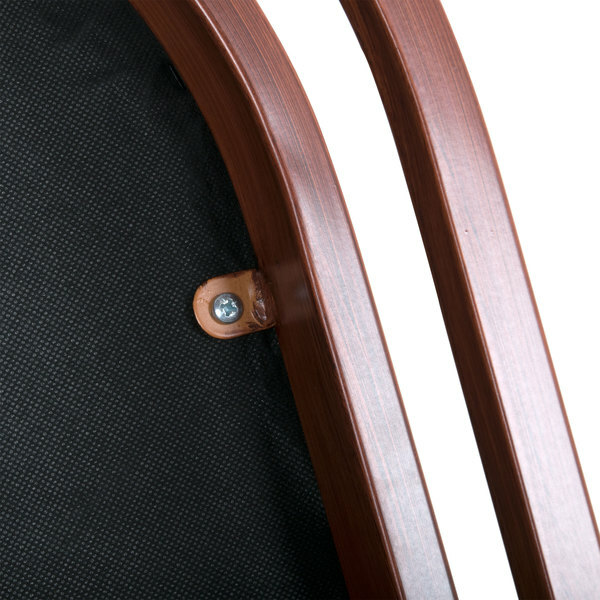 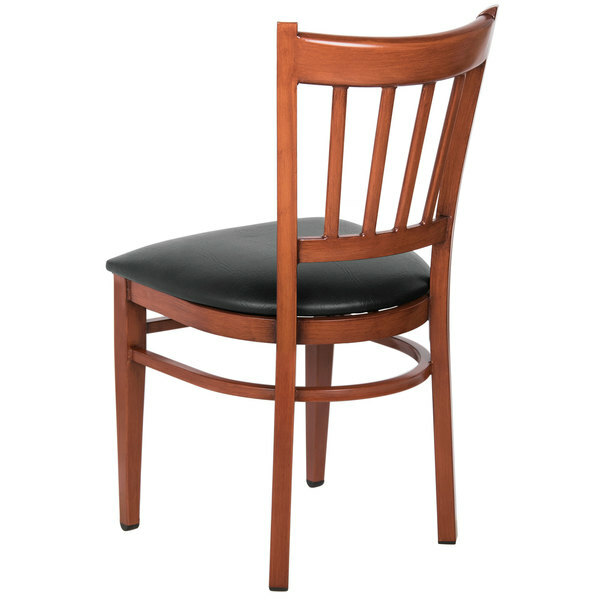 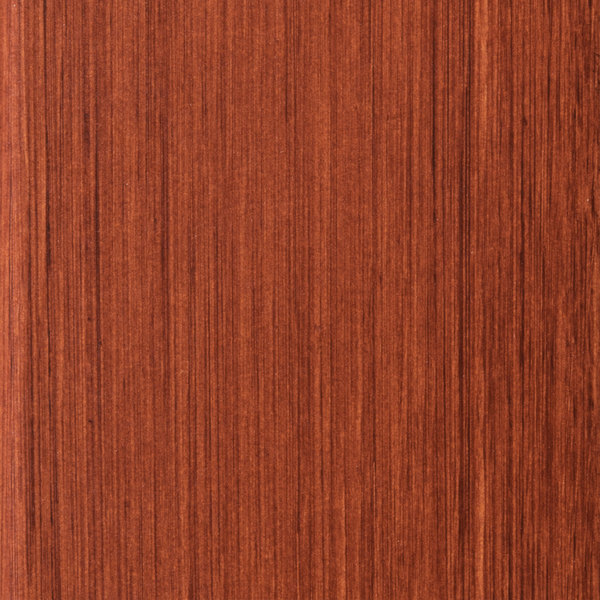 The frame’s mahogany finish is resistant to stains, scratches, and smudges, keeping your chair looking new.